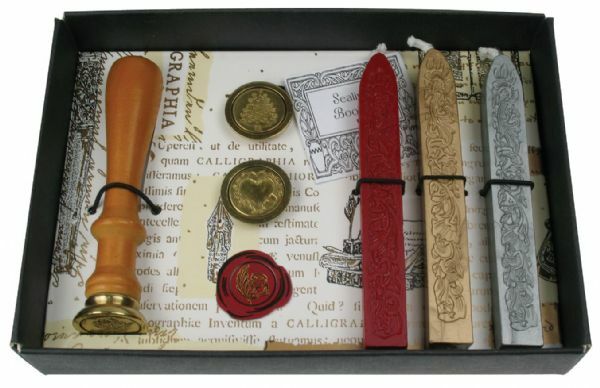 Gift set of a long-handled wooden design seal with three interchangeable seal coins in quill Christmas and heart designs. * Includes three sticks of flexible wax with wicks in Gold Silver and Red. 6.1" x 4.72" x 1.18"